Very nice. Great way to cure the knitting angst!!!! I'm loving, loving that hat pattern. 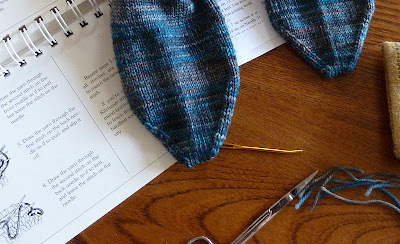 Defintely a great one to help out with knitting angst. That mug is so cool! Love it! And I love how you cured your knitting blues and had fun with it! Love your newest WIP! Love the hat. I need to have a little knitting party and get some things finished...or start something...or work on something. Gorgeous colour for that Oak Knot hat, and your progress looks great so far! Clearing the decks and starting something new sounds like a perfect cure! Oh now that is pretty. It's sky nice to do selfish knitting occasionally. Can't wait to see what the finished item looks like. I am tempted to get that book. I love the color for the hat. Oh. Oh. Yarn envy! Your hat is gorgeous!. I love your mug too. That sounds like a wonderful day! Nothing like madtosh & a beautiful mug to make it a good one! 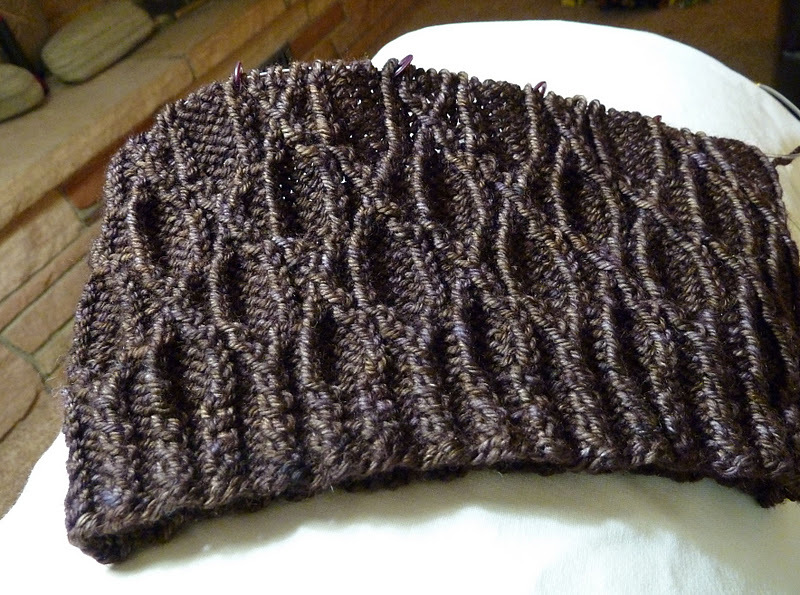 The Oak Knot Hat is very pretty - looking forward to seeing the finished product! Your hat is coming right along and the yarn is a perfect match for the pattern. Love that cup! That is beautiful!! The colour of that yarn is just too gorgeous, I'm in love. And those stitches really pop out! Great looking hat. And how cute is your mug! Beautiful yarn and gorgeous pattern. An unbeatable combination to defeat any knitting angst. Love that mug, too!